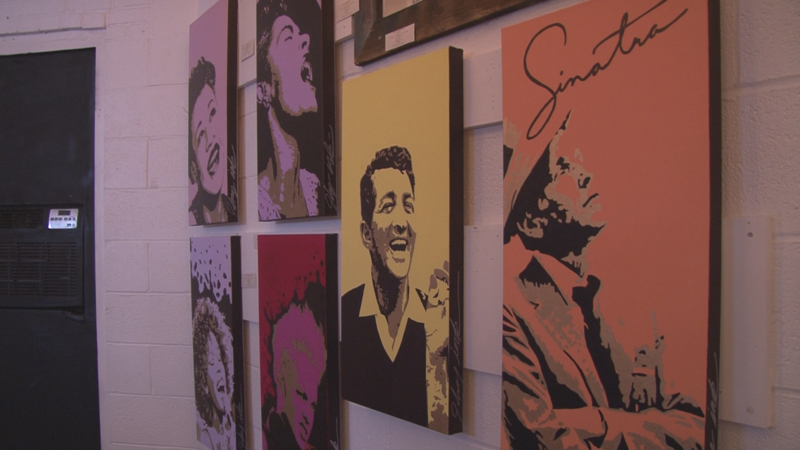 Featured paintings in Johnny Flowers's Redemption series, including several jazz artists such as Dean Martin and Frank Sinatra. 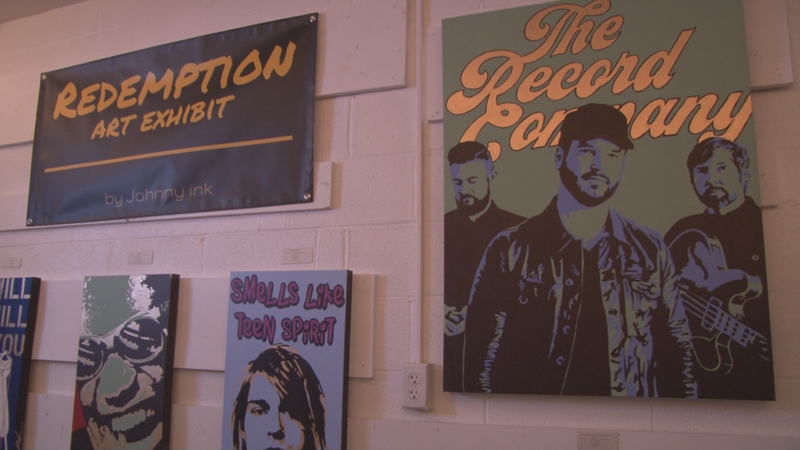 Featured paintings in Johnny Flowers's Redemption series, including The Record Company, Kurt Cobain, and Ray Charles. 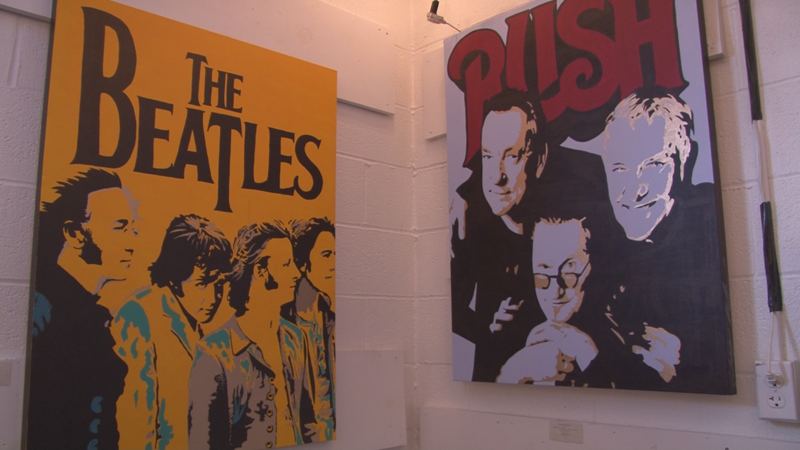 Featured paintings in Johnny Flowers's Redemption series, including The Beatles and Rush. 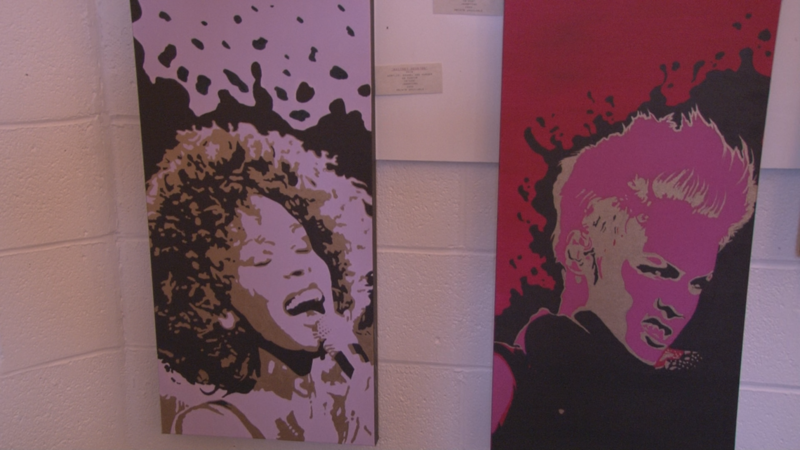 Featured paintings in Johnny Flowers's Redemption series, including Whitney Houston and Pink. 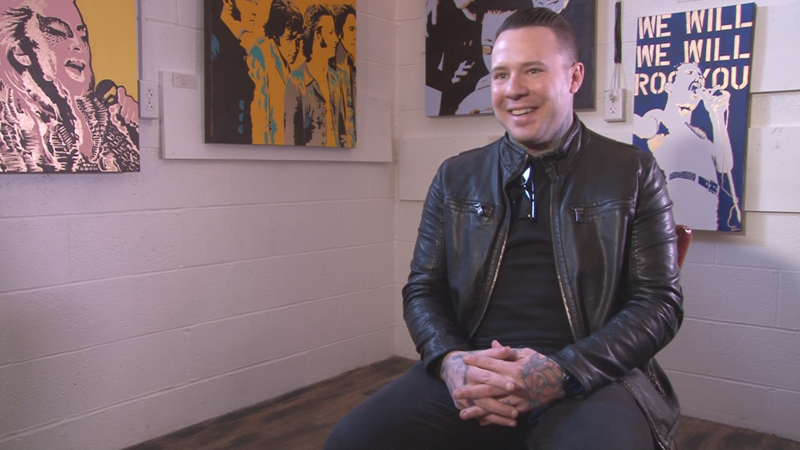 Buffalo pop artist, Johnny Flowers, in front of some of his paintings in the Redemption Art Exhibit. 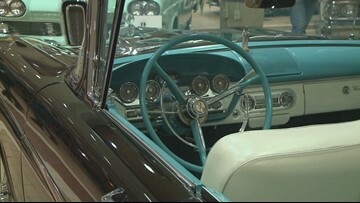 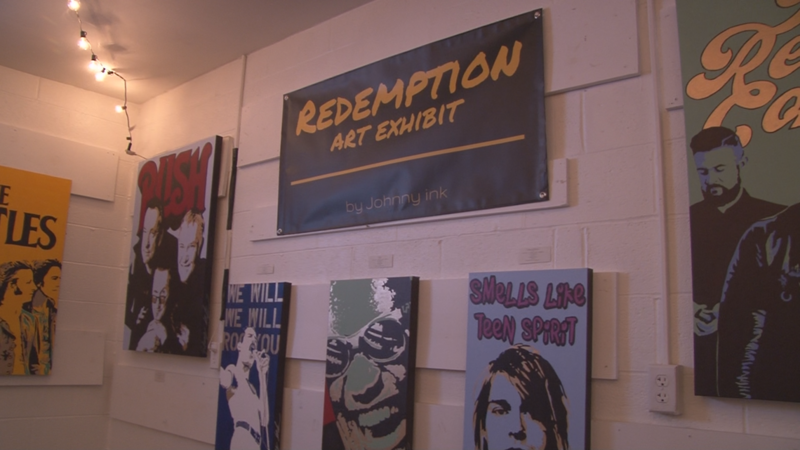 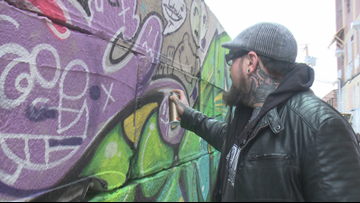 The Redemption Art Exhibit by Buffalo pop artist, Johnny Flowers. 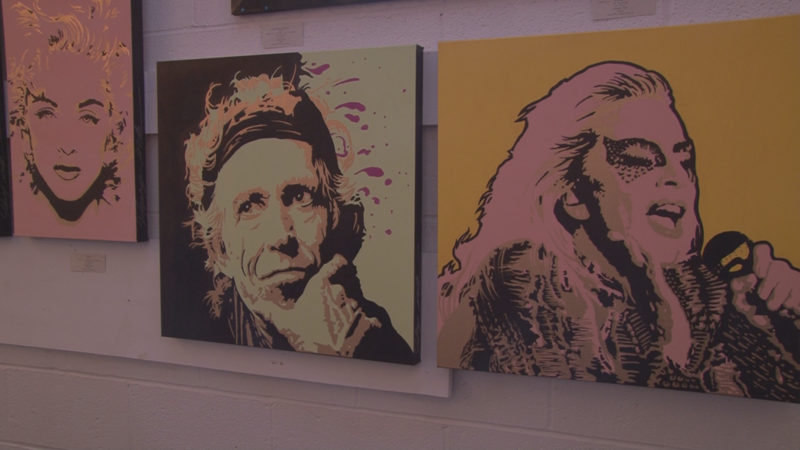 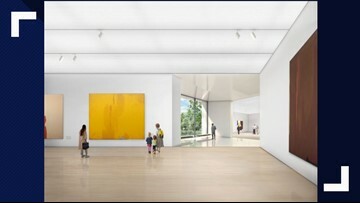 Featured paintings in Johnny Flowers's Redemption series, including Madonna, Keith Richards, and Lady Gaga. 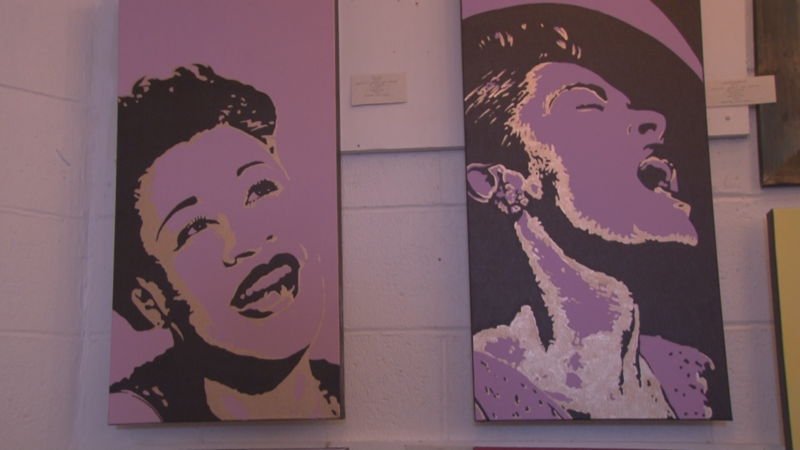 Featured paintings in Johnny Flowers's Redemption series, including Billie Holiday and Ella Fitzgerald.